What’s the market like for our services? 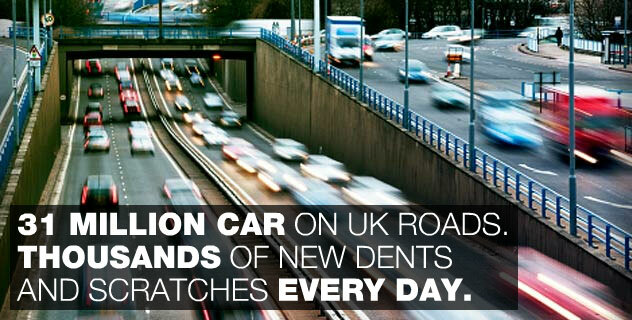 In any economy, with more than 31 million cars on the road* (more if you include vans, trucks, bikes, motor homes and caravans) driving bumper to bumper, packed daily into car parks like sardines – not to mention vandals, bird damage, chips from road surfacing and gritting, increasing chemical damage and more – there are thousands of new dents and scratches suffered on the roads every day, if not every hour! 31 million cars on UK roads - this is great news for leading automotive paint and alloy repair specialists like Colour Wizard. Just think of the times that you’ve noticed a new scratch on your own vehicle and have wished that there was a cheap and high quality way for you to preserve your own pride and joy’s finish. Colour Wizard® has provided hundreds of customers, just like you, with a service that provides exactly that. In a strong economy with good new car sales, repair services are in high demand by proud new owners and used car owners alike. In a slower economy, like the recent one, the used car market thrives. So, although fewer buyers can afford a new car, they still want the used cars they buy or sell to be pristine – or to keep their existing vehicle on the road longer looking good; so we continue to enjoy high demand. Colour Wizard® has continued to thrive and grow in the slower recent economy but don’t believe any franchise that claims its business is recession proof. It takes hard work and good systems to stay at the top of any market. Colour Wizard® is recession ‘PROVEN’ because we continue to do well. In a recession, the businesses that survive and do well are those that work harder and smarter than their competition to get a share of each pound that a customer is willing to spend. Luckily, we have many years experience in different economic climates to teach you how. Give us a call or come down to our body shop in Liverpool today to discuss our franchise business opportunities further and see our technicians at work, providing many of our car repairs services including alloy wheel repairs, minor dent removals and much more.